Almost looks as if they built the walls up on some of these barges and then cut an entrance out of the front ! This is my point, Gents, the Germans didn't have a lot of transport ships, they were planning on using barges, which they had a TON of. 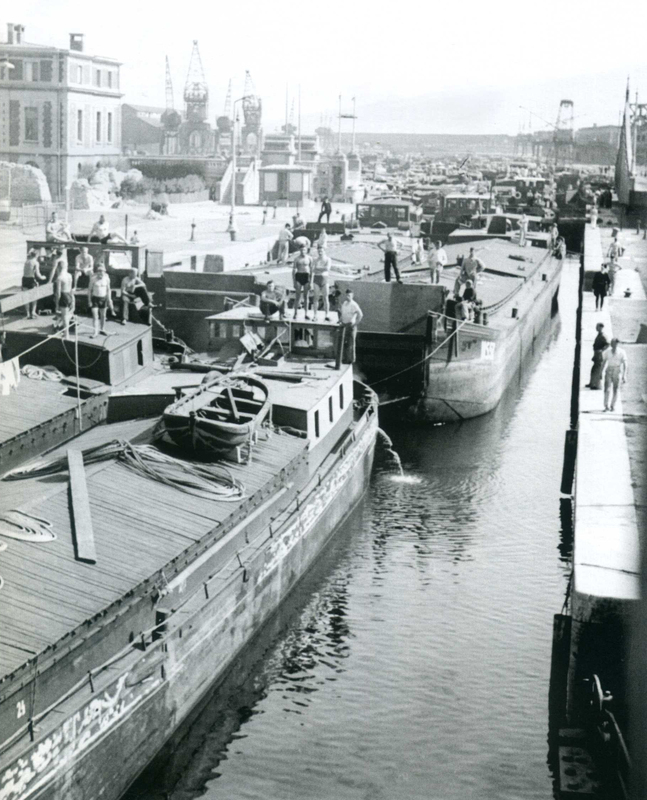 European commerce ran mostly on barges and by rail before the introduction of heavy trucks/lorries after the war. 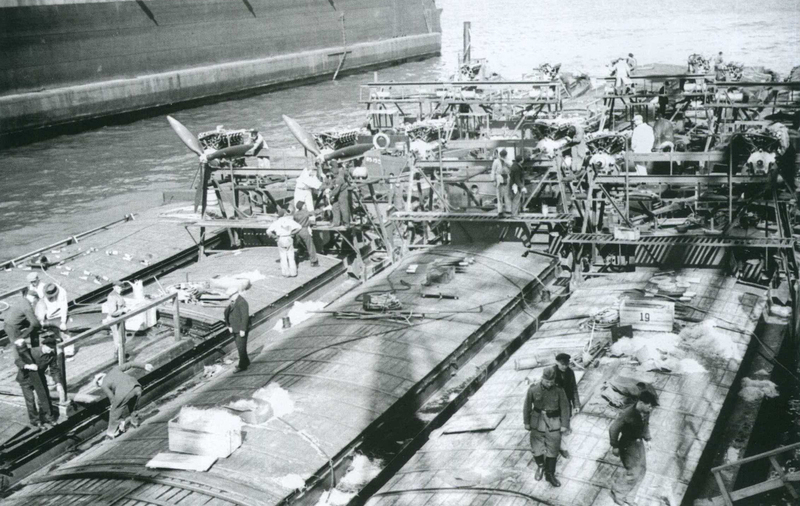 Germany simply lacked the naval tonnage to project a large force across even The Channel. 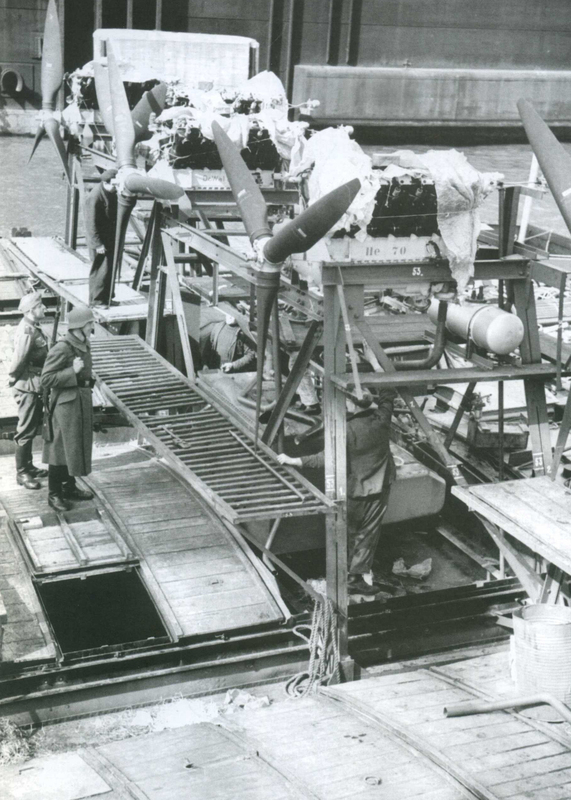 Reading all the remarks about the quality and amount of German sea transport, another very important factor for a successful invasion is air supremacy. 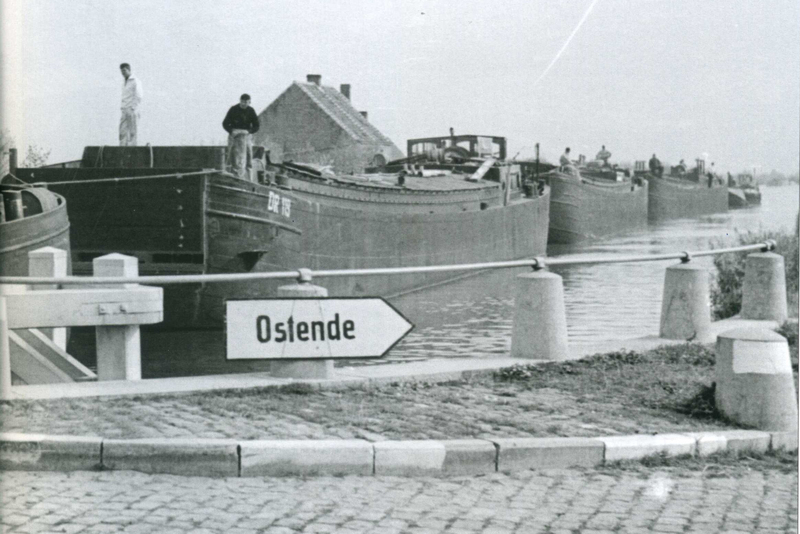 In Dutch and Belgian harbours in 1940 there was still quite some capacity available, being commercial ships which could be confiscated. However, to create a beach head, air mobile units were an absolute must to secure the beach heads. And here things have gone terribly wrong in spring 1940: the losses in air transport capacity during the invasion of the Lowlands (Belgium and The Netherlands) have been that high that on short term not sufficient transport planes were available. You are correct air transport did take a hit, do you think they would have used HE-111 for airborne drops like they did during the Crete landings? Also how cool would it be to build a 1/35 or 1/48 gigant plane for a dio. Considerable amounts of Ju-52 airplanes crash landed in The Netherlands and Belgium or were severly damaged due to anti aircraft shells. 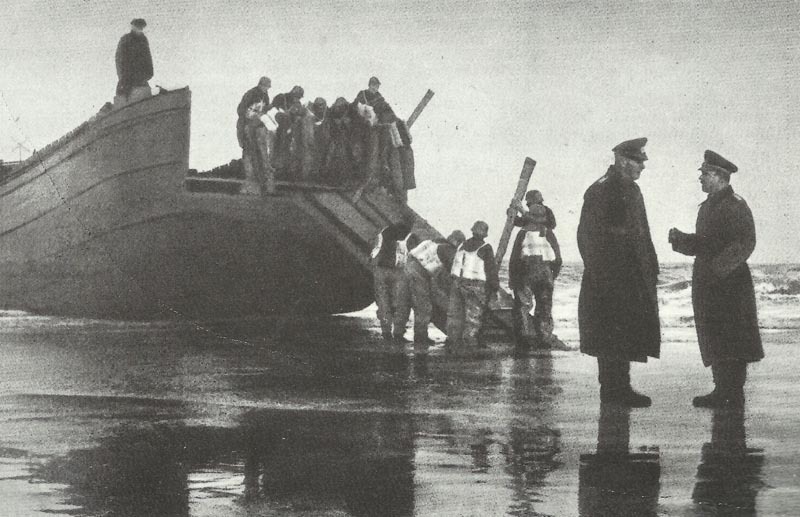 The Wehrmacht staff also started to doubt the abillity of barges to cross the Northsea during autumn. Remember, the invasion in north western Europe took place late spring 1940. It was intended to hopp to the English main land in the summer of 1940. Now, with time lost due to a lack of sufficient air transport, (one had to recover and repair all those planes, spread over the low lands) next to the fact that autumn storms were unpredictable in those days, together with political powers within the Deutsche Reich Führung the whole plan to invade the UK became obsolete! Reich Führung the whole plan to invade the UK became obsolete! I've read in more than a few books in my voluminous library that the "Amazing Onkel Adolf" always had his eyes on Russia, and "Seeloewe" would have only been a sideshow in comparison to "Barbarossa", which actually came to fruition, as all of you may already know. As to the "landing practice operations" with the "Landwasserschlepper", the various "Tauchpanzer", etc, etc, one should keep in mind that Russia is a vast land which has MANY rivers, streams, lakes, seas, and YES, even OCEANS which would need to be crossed, come what may. 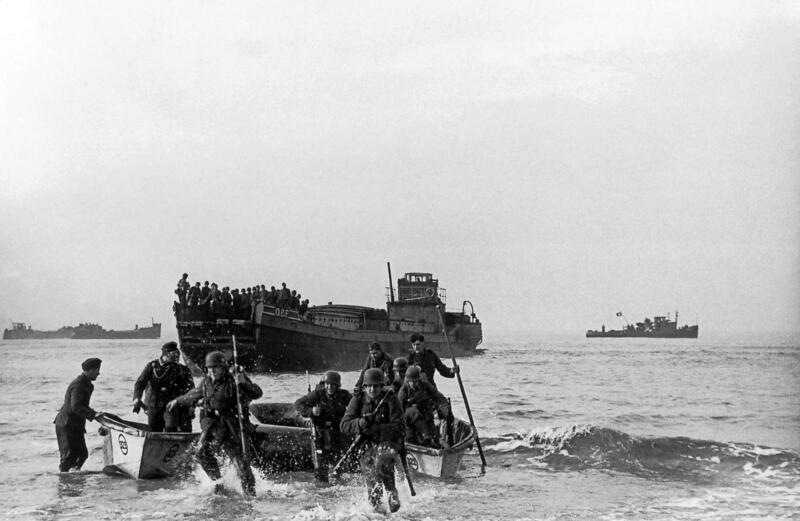 It only makes SENSE that the WEHRMACHT, i.e, HEER, KRIEGSMARINE, LUFTWAFFE, WAFFEN SS, would have invested time and resources into maritime and amphibious assets AND landing-practice operations of ANY kind. However, the Kriegsmarine were little more than a COASTAL force. Despite battle-wagons such as DKM Bismarck, Tirpitz, Gneisenau, et al, how many U-Boote would have been required to land a substantial "invasion force" upon Great Britain's FORMIDABLY defended shores..? A few "appropriated" German Merchant Marine Freighters or a Passenger Liner or two would NOT have been able to "cut the mustard". The Luftwaffe..? You all already know how far Hermann Goering's boasting went. The "Battle of Britain" proved the Luftwaffe's shortcomings, AND the inadequacy of the Spitfires' and Hurricanes' RANGE in crossing the Channel and carrying out any real "harassment-raids". It took other fine RAF Aircraft to carry out those kinds of missions. That’s very true, Manstein in his book said the smarter thing to have done was to immediately attack England within a few weeks. Meaning they should have gathered all of the necessary barges and shipping prior to invading France. I think that would of had a better chance at working rather then trying to wait on the Luftwaffe. That's 20-20 hindsight if you ask me. No one on the German General Staff, not even Hitler, expected Case Yellow to go as well as it did. Let's not kid ourselves, it was a huge shock when the French collapsed, they had a HUGE army and their tanks were in many respects better than the German tanks. The other factor was exhaustion. There is a theory at play now that the German troops were being fed methamphetamines which would account for the nearly manic energy many experienced during the Battle of France. I think it is ridiculous to suggest that Germany could have anticipated their swift victory, then pivoted to a cross-Channel invasion. I'm all for "paper Panzer" vehicles and dioramas, but we also need to keep a firm grasp on reality. The methamphetamines are a fact. Once again, my Onkel Ludwig, who served in Pz.IVs through the whole war until April of '45, mentioned having to take "pep-pills" as per orders "from above". He and his fellow crew members didn't like them, especially their after-effects. I asked him about the "Seeloewe"-thing, and he just gave me a wry smile, waved the palm of his hand at me and said, "Ach, so ein QUATSCH!!!" in our Southern German dialect which we spoke at home... He was GREAT to converse with; funny as hell!!! The Germans were winning the air war in the summer of 1940 until they switched from bombing RAF airfields to bombing cities (a knee jerk political reaction from Hitler and Goering after the RAF bombed Berlin). Had they kept it up and destroyed the RAF on the ground, instead of using the Luftwaffe as a terror weapon, it's not a far stretch to believe they could have crossed the channel. As I said before, they got across a much larger distances to N. Africa (despite the supposed absence of troop transport ships, and in the direct presence of the RN and RAF). In the summer of 1940, Great Britain was standing alone against the onslaught, with minor assistance. Britain was logistically isolated, the North Atlantic was on its way to becoming an Axis swimming pool, and all those unlimited tons of lend-lease were still a long way away. 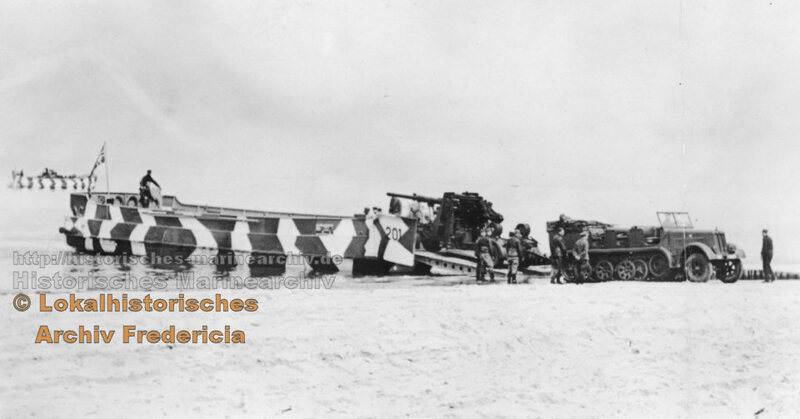 The fall of France ensured most of the British Army's equipment was left on the continent, so there wouldn't be a lot of "modern" ground equipment to oppose a landing. 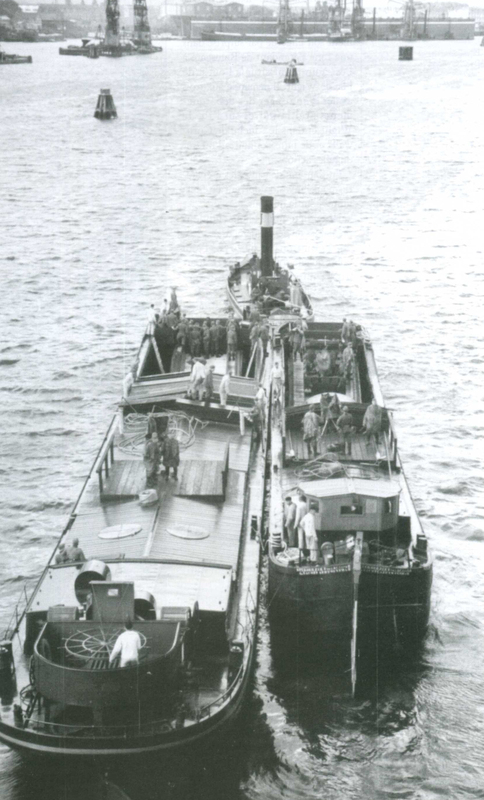 The approaches to the channel were covered by German U-boats and E-boats, British Channel shipping was brought to a trickle by the Luftwaffe and Kreigsmarine and the RN had its hands full safeguarding the trade routes. I think I understand why Churchill and Air Marshall Downing breathed a sigh of relief when the Germans switched from bombing RAF airfields to bombing British cities-- they knew then an invasion couldn't happen. But before then, they certainly were expecting it, and the Germans were expecting to do it. 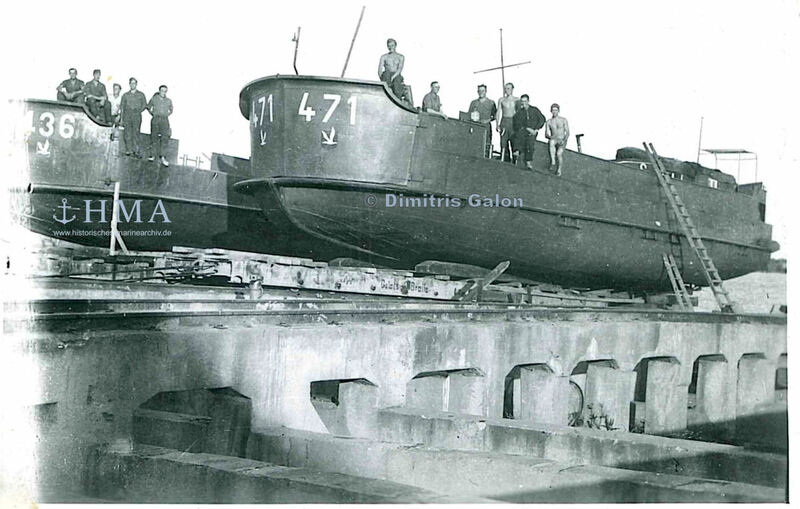 Those who hang their hats on the Royal Navy have forgotten the stranglehold of German U-boats. The Germans also had a few capital ships for mayhem which certainly became the focus of the Royal Navy for a period. But Thankfully, what truly "sunk" the German invasion plans was a fanatical desire for East European "Lebensraum"-- the bigger draw for the maniacs in the Nazi leadership. Had the Germans realized England would militarily become a giant aircraft carrier, transit port and troopship in a couple of years, they certainly would have forced an invasion when they could have. Japanese plans for the Greater East-Asia Co-Prosperity Sphere also helped doom the Axis dream for fully neutralizing England without an invasion. Thank goodness for the Axis habit of not coordinating their efforts. Dismissing Axis invasion plans disregards how close a thing it actually was. (the Japanese had similar plans for invading the US West coast after eliminating the Pacific fleet--but they miscalculated by sinking battleships rather than aircraft carriers, and failed to destroy the Pacific Fleet's oil reserve when they had the chance). 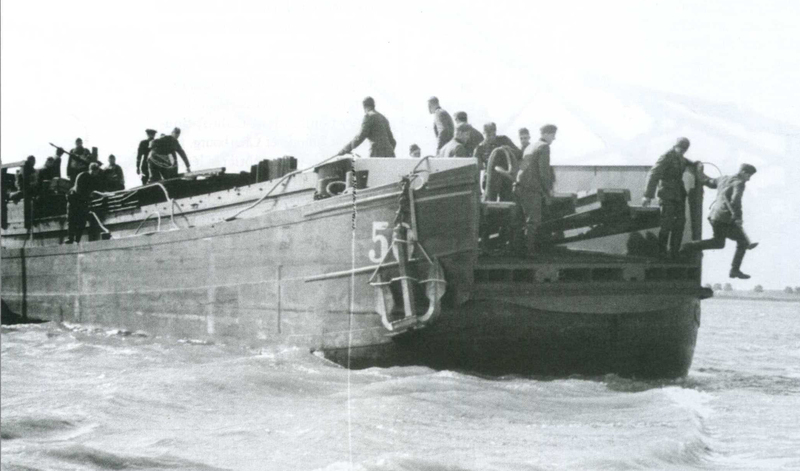 The two miscalculations by the Germans causing the abandonment of crossing the channel were of their own making, not of the opposing force or lack of shipping: 1)Failure to eliminate the RAF, and 2) Operation Barbarossa in June 1941. Other than that, they had pretty good odds of getting the 25-30 miles across the channel-- and even Churchill believed that. 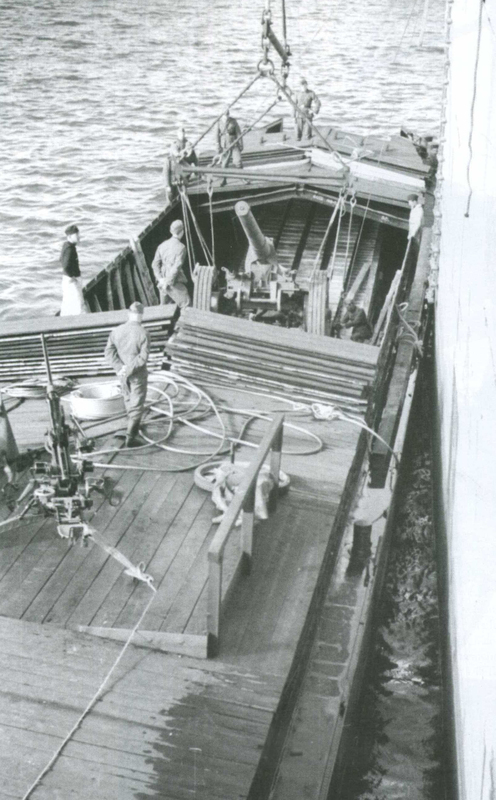 We cross 25-30 miles of open water every day in my part of the world with barges and ferry boats (although I admit, no one is waiting at the dock with a Tommy gun for us when we arrive). So its not a far stretch to see the Germans hopping across the Channel. A lesson we still have trouble learning today is to never leave an undefeated enemy in your rear--at least strategically. Yes it's a far stretch. In summary, the German navy was destroyed in Norway. The Luftwaffe was seriously hurt and needed time to rebuild. The RAF was never close to being defeated, having a constantly growing force during the battle, the Royal Navy who is a much bigger issue were never even tested. Having demonstrated they would fail to defeat the RAF they tried to defeat moral and failed at that. The only way they would have crossed the channel is as an occupation force. Not an invasion force. That is not impossible, but is not what people are talking about. 1) The argument of not having enough shipping is dispelled by the presence of large numbers of barges, ferry's and shipping necessary for crossing a mere 25 mile distance-- so they had a plausible threat in their capability-- and later managed to get an entire army into N. Africa across a much greater distance despite the presence of the RN and RAF. 2) The argument that the RN would have stopped the invasion ignores the increasing presence of U-boats and E-boats in the channel approaches (and now with French home ports), and the RNs requirements for safeguarding vital Commonwealth trade routes, and the fact it was the Luftwaffe who controlled the airspace over the channel, not the RAF (in summer and fall of 1940), the RAF fighter arm wisely being prohibited from cross-channel pursuit or attack (except by night). 3) The RAF was hanging on a thread-- ACM Downing even said as much. It wasn't the immediate lack of aircraft, but the lack of trained aircrew-- a similar thing happened to the Germans in 1944-- aircraft aplenty, but no one trained to fly them. RAF Pilot losses simply couldn't be sustained while the Luftwaffe attacked the airfields during the day. Logistically speaking, even aircraft construction and supply were at risk-- England doesn't produce its own oil or rubber-- it has to come from someplace, with German subs in the North Atlantic, that was the RNs mission--keeping the sea lanes open. No doubt the RN would have been brought to bear in an invasion, but at what risk? 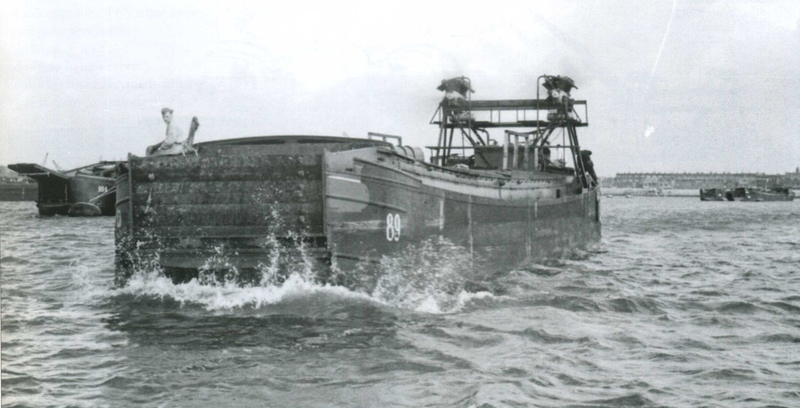 It remains to be seen whether they would have been able to get from home port to invasion site effectively under continuous air and undersea attack. Everyone puts faith in the battleship-- but Billy Mitchell (and later the Bismark, Repulse, Prince of Wales, Arizona and Yamato) proved that wrong. 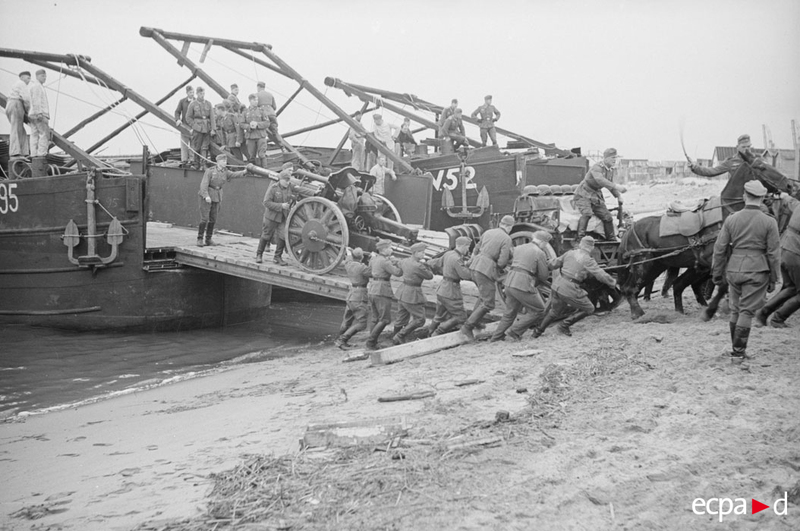 4) The British Army left most of their mechanized equipment (some of which was inadequate to begin with) in France (they didn't have the shipping or time to get it back). The RAF was withdrawn because it was viewed as the more valuable defensive arm. No doubt British Tommies would have defended those beaches and ports to the last man, the last bullet. But if the Panzers had gotten across, there would be little to stop them. The home Guard was training with pitchforks. Bottom line-- it was a close run thing-- and only German miscalculation and political stupidity kept it from happening, not the logistics. 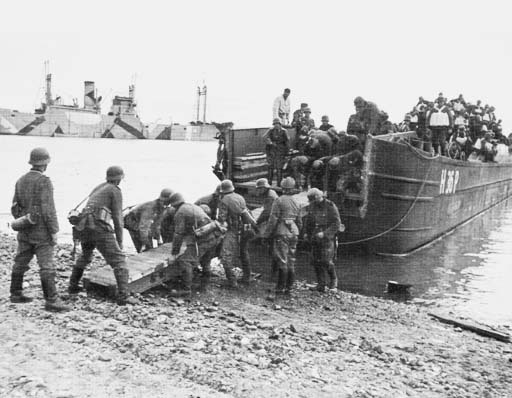 The tactics might have been flawed, but given time, the Germans would likely have gotten ashore. Would they have been able to stay ashore? That is the real question. You should actually look at the losses the German Navy suffered invading Norway. Then type another wall of text. Wouldn’t it have been possible to sustain a sea lane for a bit at Calais. Especially using heavy artillery to control the Chanel from there and shoot it out with capital ships? What does a bit gain you, you are putting your army on a foreign shore. The 1940 German Army was an amazing fighting force, but it was not magic. WW2 could have ended right there against them. Tell us again how many submarines and capital ships they lost in Norway in the Spring and summer of 1940? 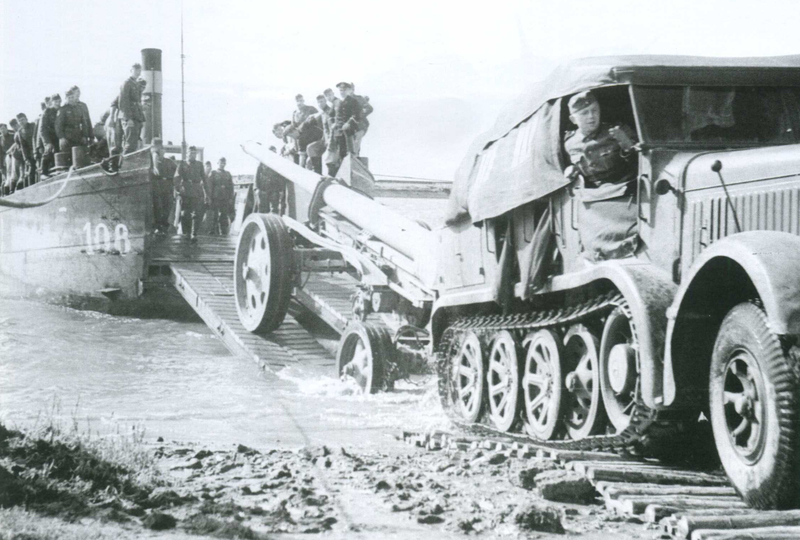 What bearing do German losses in Norway have in their capability to launch an invasion across 25-30 miles of Channel? Does your remark have a point regarding their invasion ability? Norway and the Channel are two entirely different proposals. By the way, last time I checked, Norway still fell to the Germans despite their loss of destroyers, and was entirely an economy of force operation-- while they were doing other operations. Unlike Norway, the RN was not about to put capital ships in the Channel until the RAF could control the airspace above it, and they were sure the wouldn't be bottled up in it at the approaches. A "Channel Dash" was an appropriate name for the time. The Luftwaffe and Kreigsmarine contributed to that-- but Norway and the Channel are still apples to oranges. Dunno Russ, you're indulging in a lot of wishful thinking based on "in the moment " anxiety as opposed to hard crunching of the resources at hand. The German army was totally worn out from Fall Gelb. The army needed rest and maintenance. So the landing of troops was realistically to occur at the earliest in the spring of 1941. Raids were definitely possible before then and I've always wondered why the Germans didnt do commando operations. And the whole thing about North Africa -- most of the capital shipping and escorts and port facilities were all Italian. Those resources were just not available in the Channel. 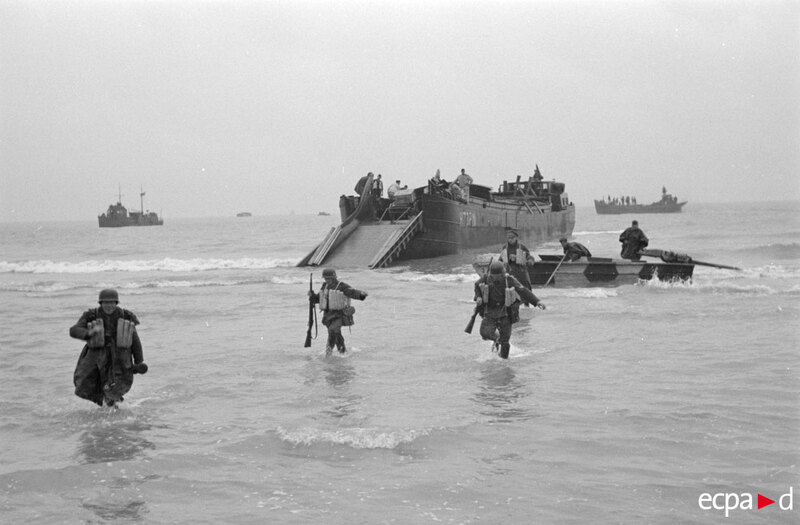 A lot was eventually collected but not enough compared to.what was finally proven necessary by Operation Overlord. Some of the recently disclosed secret British planning hints that they were willing to trade land for time. Let the Germans land and try to rule while a whole network of resistance worked against them. Overlord proved how much work was needed to leap the channel with any real hope of success. A lot of Germans may have ended up in Britain but the supply of the soldiers once across would have resembled nothing so much as the midnight running the slot in the Solomons. The fight ashore might have been all the worst of Tarawa and Saipan. 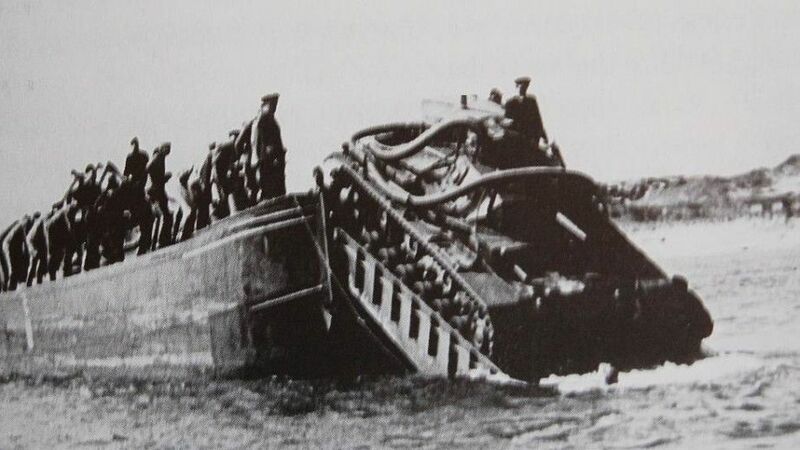 The Germans could have ended up hung up on the shore like at Gallipoli with all their heavy equipment lying at the bottom of the Channel like the major portion of Rommels supply did. After the initial invasion the German supply efforts across the Channel could have ended up like those supply runs to Malta or the Japanese runs up the Slot in the Solomons. And then there's that special relationship between Churchill and FDR. With an actual invasion of Britain and massive battles in the Channel could Roosevelt have convinced the USA to fight? One US fleet carrier even in 1940 could have doomed Germany's chances and without the Pacific war there were two US fleet carriers in the Atlantic. And there was no way the Japanese could have attacked in Southern Asia and the Pacific until it happened historically and even that took months of lobbying on the part if the Imperial Navy. Hitler also had a hope that he could convince England to settle for a peace treaty. There were even hopes that Britain might join in the fight against communism. This wishful thinking might have influenced decision making in Berlin. When considering "what-ifs" it is also important to consider "what-else". What if the German navy had concentrated their submarines in the channel to fight off the Royal Navy what else would those submarines not have been doing? British destroyers were not available for the convoys since they were kept back to protect the capital ships. If the submarines left the North Atlantic to protect the invasion fleet the convoy escorts could also leave the North Atlantic and strengthen the submarine hunting capability in the channel. What if the Luftwaffe are busy protecting the invasion shipping, what else would they not be doing? Could this have taken the pressure off the RAF? Where would the British submarines be if the channel is "full" of German cruisers and capital ships? I think most of the action would have been between light forces like torpedo boats and submarines. 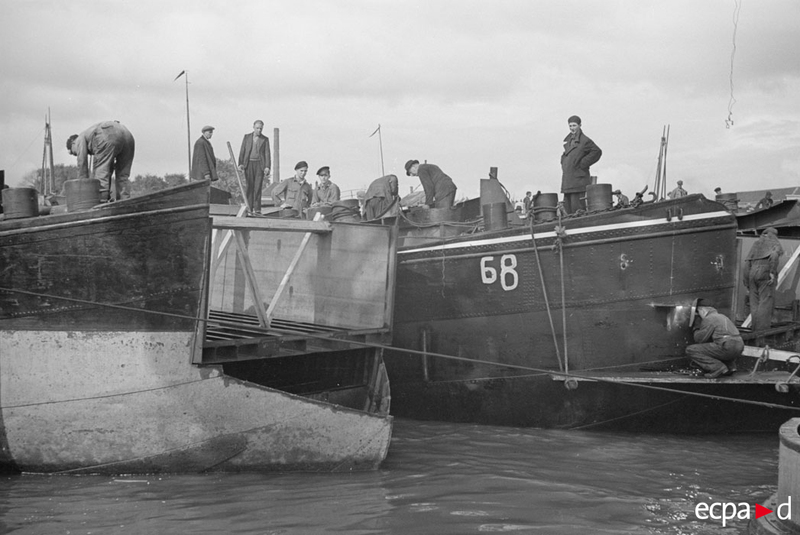 Even if there were no British minefields the German Navy still had to consider the possibility of minefields. The airstrike on Berlin was probably a genius move. It didn't accomplish much destruction but it sure sent Hitlers head spinning. Invasion of Norway: Thoroughly planned, traitors on the inside who provided information and were standing ready to assist, Norway was not at war and were unprepared, ports were available and mostly undefended or the defences were unsure about firing since they were not at war (possibly also the presence of traitors). The Germans still paid a rather high price and learned that it isn't as easy as it might seem. The question was raised about modeling a dio, using a few DRAGON 1/35 German Sturmboote kits. Not gonna lie i actually enjoy all the arguing and all the facts and different opinions. Just great ideas and discussions going on here. I probably learned more on this forum post than any other I’ve read that were about sea lion. Great Pics Frenchy-- obviously somebody intended to do something! Well since Greg is enjoying this discussion, I'll continue to risk writing another "wall of text". But it might be best to move this discussion to another part of the Kitmaker site on Strategy and get back to model building too, so this will be my last comment here. I too find the discussion fascinating, as Sea Lion is a failed plan which I've studied professionally at the Naval War College and while writing at the School of Advanced Military Studies on the effects of political aims on Military strategy (AKA Clauswitz, since Sea Lion is a perfect example of how an operation can be screwed from above). In the many discussions and lectures I've attended regarding Sea Lion, the main string holding them together is the mis-alignment of German military capability with the political aims of the leadership. Studying Sea Lion must be kept in the context of 1940, not what we know about evolving amphibious operations which would occur later. The Germans had the capability, the military power, and a strategy for assaulting across the Channel-- to at least seize British ports. But their Course of Action Analysis (COA) was flawed because they had no end state plan in place beyond the ramblings of a madman and his political cronies (thank goodness for that). Had they logically and methodically chosen at that moment to move west instead of east, and done so from a purely military necessity, they likely could have done it. 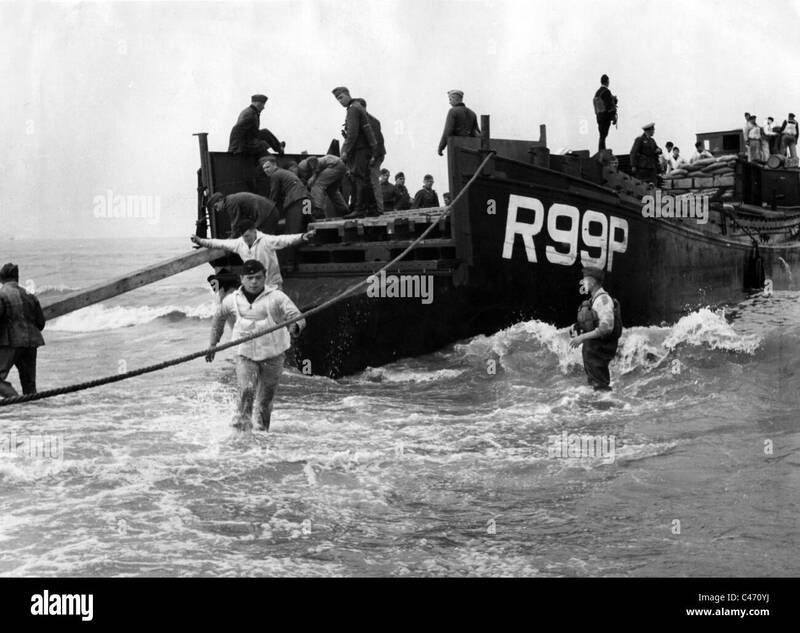 Britain was on the ropes, (standing alone in defiance, their heroic story is undimminished, but it is incredible luck, and miscalculation by the German Political leadership that Sea Lion didn't take place, not the lack of military hardware, manpower or know how on the German side). Statements like "the Kreigsmarine was non-existent" or " look what it took to do Overlord" have no bearing on the condition of the summer of 1940. The Kreigsmarine was still capable of assistance and now with French ports. 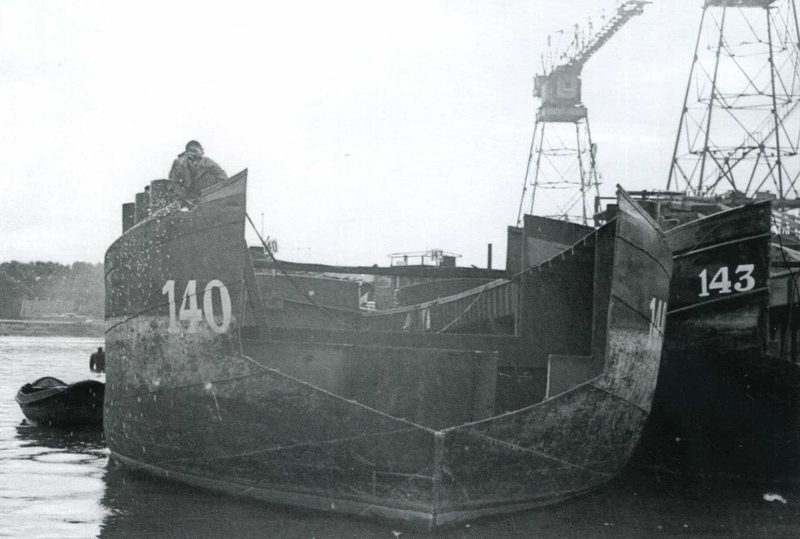 The landing craft and amphibious doctrine and a "West Wall" type defensive structure Overlord was designed to overcome simply didn't exist in the Channel of 1940. 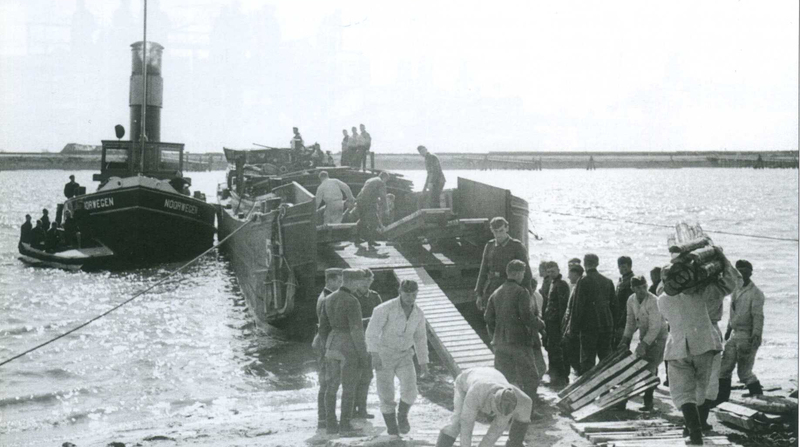 The Germans had the logistical resources at hand, they controlled the air and sea space in the Channel, and they had a plan, however deficient. The Royal Navy is certainly a factor, but without air cover and operating in the narrow confines of the Channel they are also an excellent target, one Britain can't afford to loose, and who knows what losses of the RN in the Channel would have done to further weaken Great Britain? I don't deny, the Germans faced long odds, but combat power and geography were on the German side in the summer of 1940. It was a series of strategic miscalculations by the political and military leadership that doomed Sea Lion. That's what makes Sea Lion so interesting. Ok, I'll shut up now and get back to the workbench!